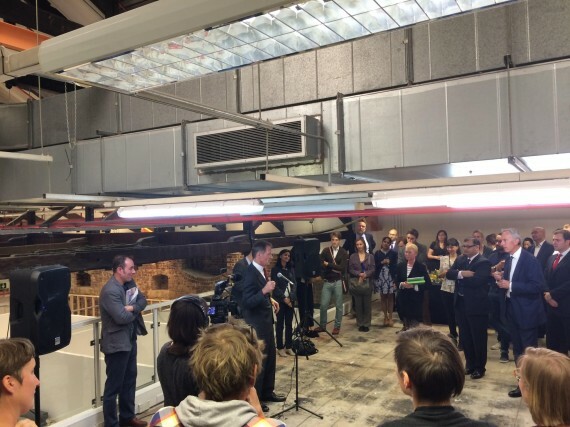 Sir Nicholas Serota used the launch event of Bow Arts’ new studio block in east London, which will house 90 studios in a former factory and office space, to argue for the importance of investing in and developing spaces for artists. Jack Hutchinson reports. 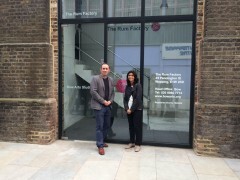 Bow Arts has launched its latest studio complex in Wapping, east London, with an event attended by Tate director Sir Nicholas Serota and London’s deputy mayor for education and culture Munira Mirza. 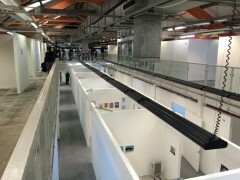 The site – which was formerly the home of News International – will house 90 artist studios. And with 75% already filled, the uptake has been positive, particularly at a time when there are suggestions artists are vacating the city due to rising rent prices. London: expensive but the place to be? Pia Bramley is one of the artists moving into the new complex. She said: “I think it’s great that a new studio is opening. I have friends who are moving out of London, partly due to the cost, but in some cases because their studios are being redeveloped into luxury flats. Fellow studio artist Jeremy Evans agreed, saying that although it’s becoming more and more difficult to survive in the capital, the overall benefits are worth it. “The bottom line is that the majority of artists are still based here. 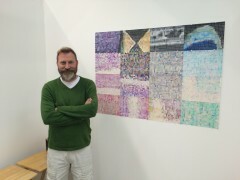 Being part of such a diverse network helps stimulate your practice and develop your work.